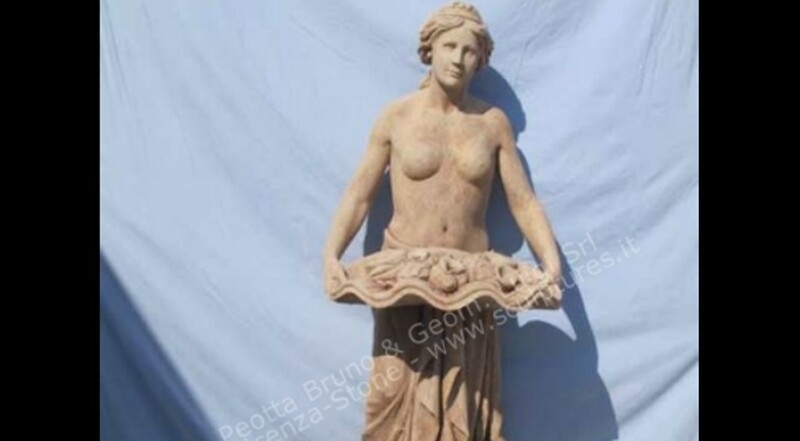 A Venere statue carved in Vicenza stone with a large shell with carved a lot of smaller shells inside. A drape in the bottom part on a decorated base with 2 dolphins sculptures in the front and shells on other sides. Of Tuscan and Roman origin, this is a classic statue inspired form the Greek mythology, used on the private and public parks, or inside buildings.